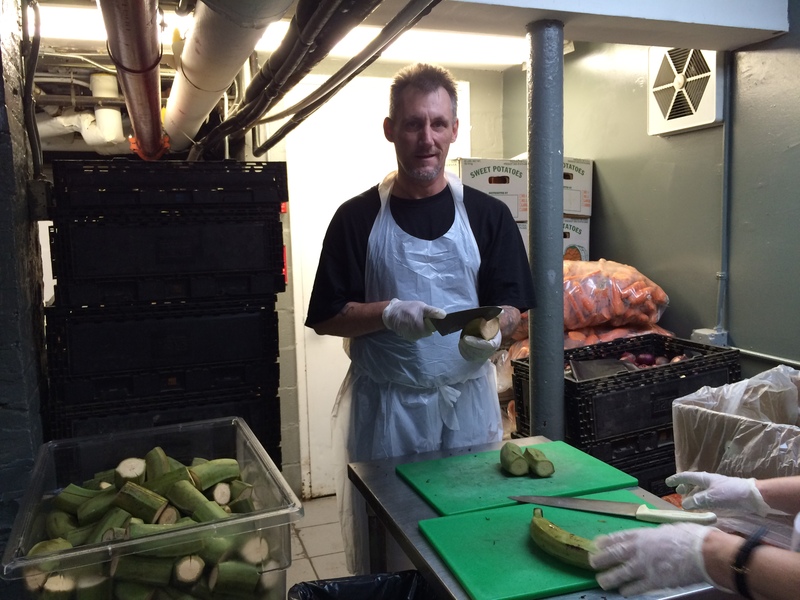 “I started the search for soup kitchens in the city after meeting James, a homeless teenager,” says Rachel, a Holy Apostles Soup Kitchen volunteer and dedicated Fast-A-Thoner. Rachel knew the answer had to start with nutritious and reliable meals. A busy professional, Rachel volunteers whenever her schedule allows, often on holidays. 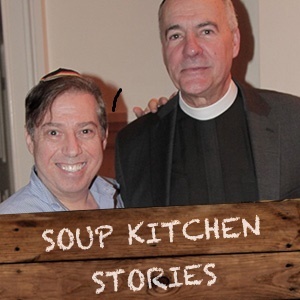 By getting to know James, and getting to know Holy Apostles, she has become more motivated than ever to advocate for hungry and homeless New Yorkers. 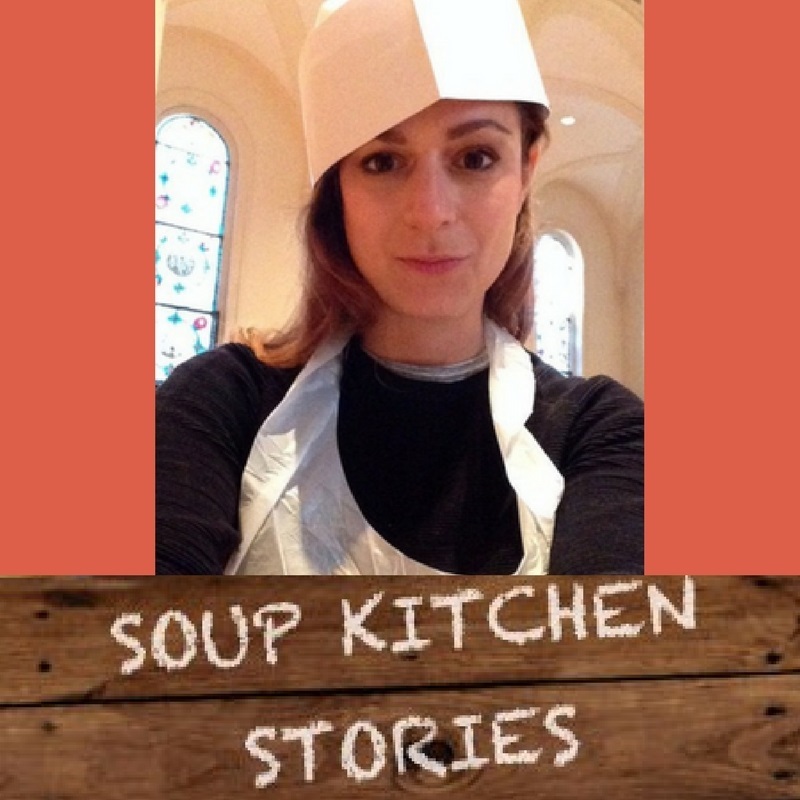 Each year on her Fast-A-Thon campaign page Rachel includes James in her story, and how she found Holy Apostles Soup Kitchen as a result of their connection. She has truly become an inspiration to others, helping them to understand the painful cost of food insecurity and homelessness. “Thank you guys for everything! 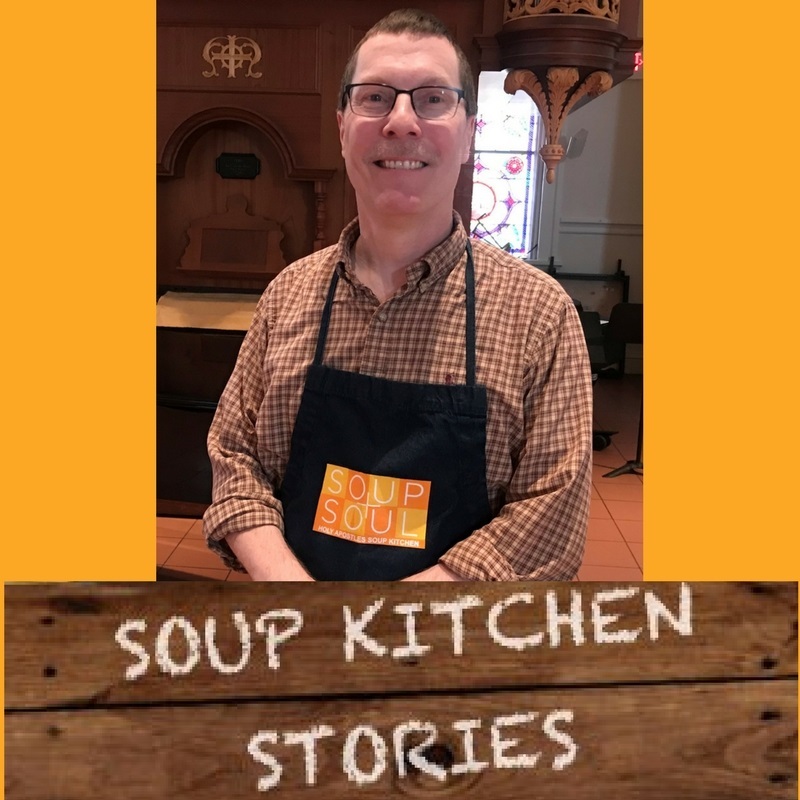 I will really miss you all!” Soup Kitchen volunteer Addie launches her new career after dedicated several years of service to Holy Apostles. 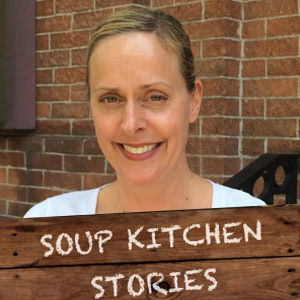 Soup Kitchen volunteer coordinator Addie has big dreams on the horizon. We wished her farewell and good luck in February when she hung up her soup kitchen apron to begin training as a linguist for the U.S. Air Force. 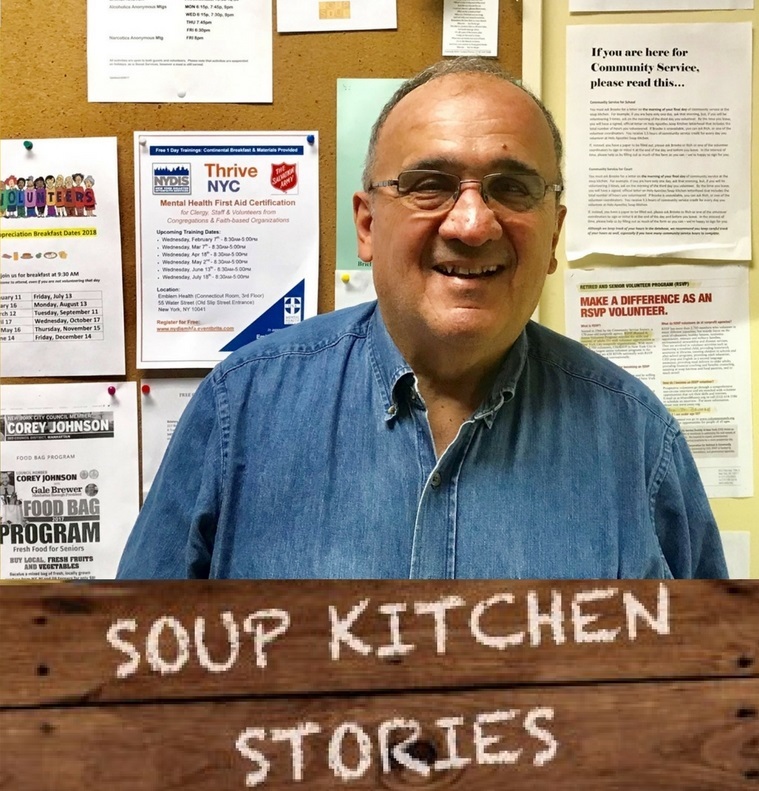 Addie started volunteering at Holy Apostles during college, when she was taking a nutrition class and looking for a place to give back to and learn about emergency food operations. Addie decided to come back again, and before long volunteering at the soup kitchen became a regular, weekly practice. One day, she heard the announcement for a volunteer coordinator opening and it was just the opportunity she knew she could find personal growth and valuable experience from. 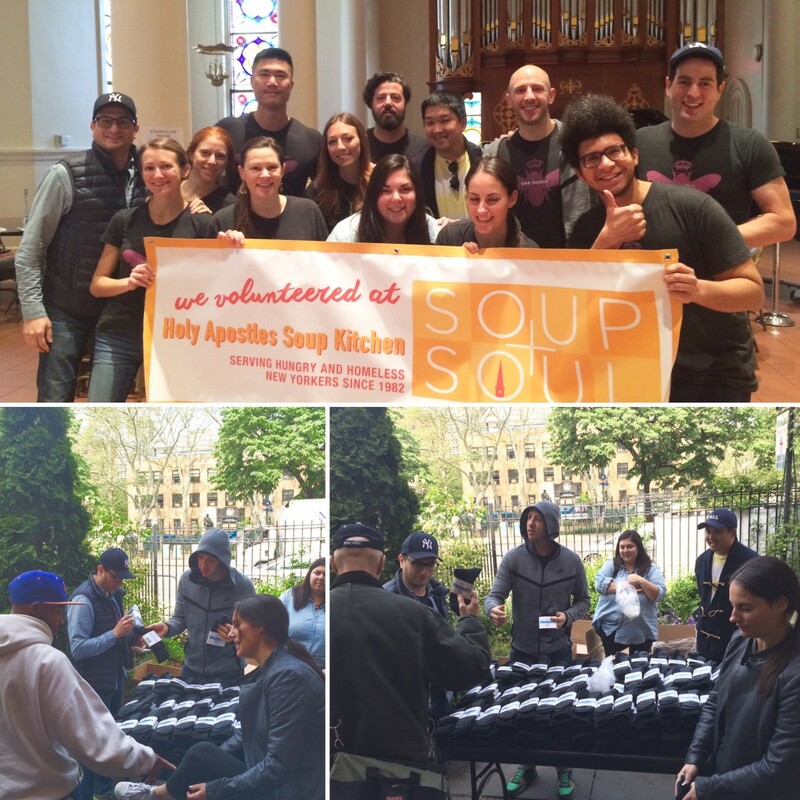 Today, as Addie “takes flight” toward her new and exciting career, we are grateful for her years of devotion helping other volunteers, and helping New Yorkers find nourishment at Holy Apostles Soup Kitchen. We wish her all the best! 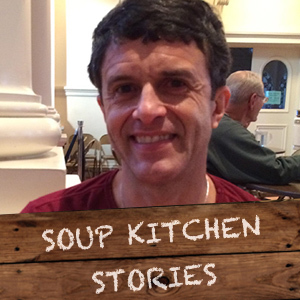 Find out more about Holy Apostles Soup Kitchen. While grieving his mother’s passing, and being forced to make severe cut-backs to his own quality of life, Alex knew he would have to find ways to cope with the losses in his life. A graduate from Rutgers University with a Bachelors in Marketing, Alex had enjoyed a successful eighteen year career in the wholesale clothing industry, moving up from Sales Associate to Vice President before his company took a drastic hit after the recession and he lost his job. “I had always worked, ever since high school,” he recalls. “After moving to New Jersey from Puerto Rico at the age of 14, not speaking a word of English, I worked my way through ESL classes and then I worked my way through college as a waiter and as a gas attendant, many times seven days a week.” During one point, between his classes and jobs, his days would start at 7 am and not end until 12 pm.